Help us make SDSU History! Congrats! This project has reached its minimum needed of $2,500 and is going for its target of $5,000! Jackrabbit Forensics has had a historic season! We have qualified more events and more students than ever before in our 100 plus tenure at SDSU, that's 22 events and 10 students. Together with your help we can send SDSU students from across SD, IA, MN and PA to nationals in Alabama. Jackrabbit Forensics is one of SDSU's oldest co-curricular experiences at SDSU. We are made of up of passionate advocates, speakers, performers and students. We are students who study dairy science, communication, psychology, German, political science, engineering, mathematics, aviation and education. Forensics allows us the opportunities to speak about our fields of study in new ways to new audiences. 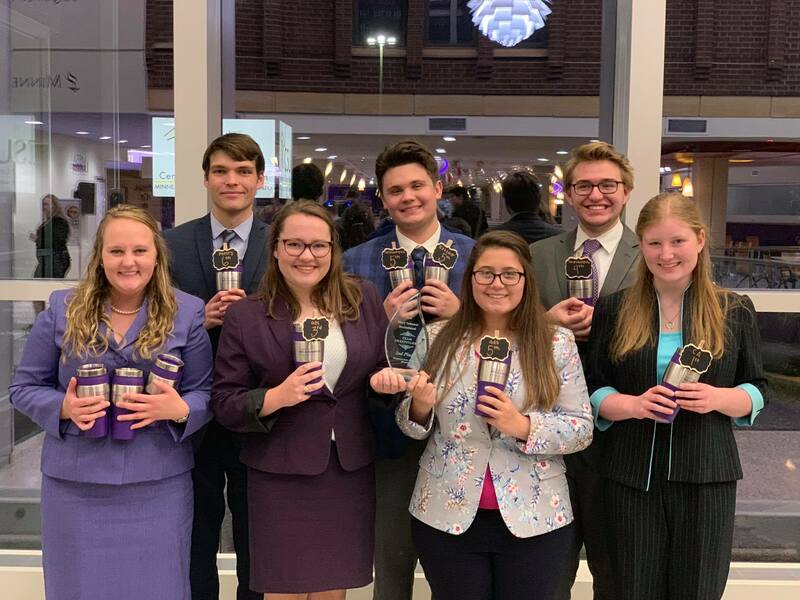 Jackrabbit Forensics earned many accolades during the 2018-19 regular season, so much so that we have qualified over 22 individual speaking events by 10 different students to the American Forensics Association National Individual Events Tournament! Not only did we qualify for nationals but we won the 2019 Championship of the Dakotas, the intercollegiate forensics tournament for North and South Dakota. Our historic year means we need some assistance in ensuring all students can attend our national tournament at the University of Alabama in April! Your support would mean the world to us! For many of us this is our first year at State and on the team, 6 to be exact! Forensics has given us opportunities to perform across the region and to speak on the national stage would help us grow as speakers and students at SDSU. Our teammate Olivia, a first-year from Spearfish, SD notes that "Forensics makes her feel important." While Olivia studies nursing she also will be competing in extemporaneous speaking at the national tournament. 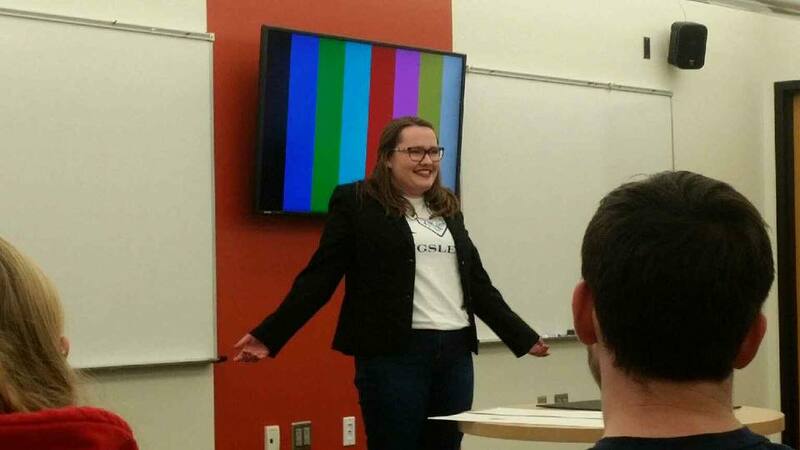 Olivia isn't the only one who has been impacted by the activity, Lauren one of our seniors from Volga, SD explains, "Speech has given me the best 4 years of my life! I wouldn't trade my teammates, my experiences or the memories for anything!" Lauren qualified 6 events this season and is a candidate for the All-American team! Your help will not only give us an excellent and premier competitive experience, but it will help impact our overall experience at state. To share the ideas we learn from other speeches in our classes and to create change within our campus community. Our team motto is "Speak your passion," and what we love is that the forensics community is full of passionate advocates who are addressing cutting edge issues across events. Any support beyond will go to assist our next season where our nationals are in California in 2020! Supporters can follow along weekly as we make progress towards our goal! UPDATE: Wow! We’ve already hit our goal of $2500! Thank you to all of you who have helped support us so far! We still have 25 days left to go, so we have set a new goal of $5000 to help us send students to Interstate Oratory the Nation’s oldest public speaking contest, which will be in Philadelphia at the end of April, any additional funds will be set aside for our nationals trip next year in Santa Ana, CA. Our record of success this season sets us up for success next year. Novice- So you are just getting started and don't have a lot of experience, no worries! We've all been there. We've earned lots of top novice awards this season with 6 first year members, we get it! Speaker Level- So you are feeling comfortable and ready to own the tournament, us too. Speaker level helps pay for registration for 1 student. Judge Level- You have waited years to finally see the inside of a judges lounge, to see the bounty of the food, but our students still aren't there yet, donate at the judge level to pay for food a student at nationals! Coach Level- Your time driving the van and spending nights and weekends at practice have earned you a spot at the coach level. The coach level helps pay for one night of a hotel for 3 students. Finalist Level- You did it! Congrats on finals. Your time, dedication, and efforts paid off. Everyone on our team this year was a finalist at tournaments, that's pretty cool. Support at the finalist level helps make that final leap as we make it to nationals to pay for airfare for one of our outstanding students.